This is a guide about 100 calorie snack packs. Grab and go 100 calorie snack packs are great to have on hand for when you are hungry between meals. You don't need to spend a lot of money on prepackaged ones though. 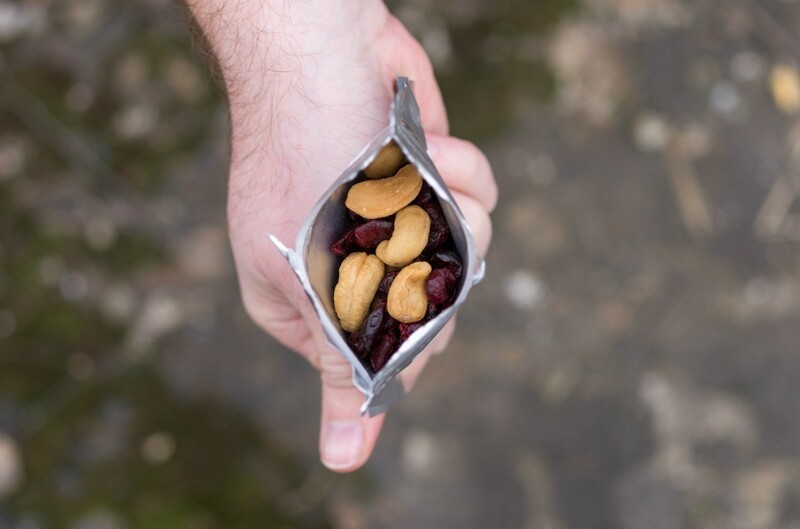 Larger packages of your favorite snacks can be broken down into 100 calorie packs. Why spend hard earned money on pre packaged 100 calorie snacks? Here are some you can package yourself and always have ready for yourself or your kids' lunch box. Each of these will fit into a small snack zip lock bag which I buy at my local dollar store. I am so glad I saw this suggestion. I know you will like it, too. These packs are great, but sometimes we just want some good sweet cookies! Or chips or whatever. These are the times when the pre-packaged 100 calorie snacks are great. We can still have what we are craving, without so much of the guilt. So I'll keep right on buying the pre-packaged snacks. But I'll also try some of the ones listed here too. Fritos, taco chips and Doritos work too. No potato chips though, they won't hold up. The sweet and salty works so great together. It is a lot more satisfying than the ones you buy. My DH swears these are one of the reasons he has stayed on his diet. Each week I make up 7 of these little bags. I put in one or two of each of the things above until I have about 100-200 calories. Once you do this a few times, you want need to count, you will learn how much each item is. When I get a snack attack, I will grab one of these. I will usually only eat half but just knowing the whole bag is only 200 calories makes me feel good even if I eat the whole thing. It only takes minutes to make up up and they will taste better than those you buy already made up. A whole lot cheaper too. These are great to grab on your way out the door. Archive: 100 Calorie Packs: Diet Aid or Rip off? Everyone has seen the TV commercials for these 100 calorie packs of Cheese Nips, Oreos, Chips Ahoy cookies, and what not. Anyone who's tried them knows that they're pretty expensive for not very much food and they don't taste all that good. I discovered one day at the grocery by comparing the nutrition info on the 100 calorie pack Cheese Nips and the Reduced Fat Cheese Nips that the latter had a serving more than twice as large as the 100 calorie packs for only about 120 calories and 1 gram of fat more than the 100 calorie packs and they taste like the "real thing". You could simply buy a box of the Reduced Fat Cheese Nips and measure out your own 100 calorie packs into ziplock bags (which can always be reused) as soon as you get home (just put a few less in your bag than is a serving to equate 100 calories) to keep you from eating half the box at a sitting, which is really the only convenience the 100 calorie packs offer. Sounds like sensible indulgence to me! 100 Calorie Packs: Diet Aid or Rip off? 100 calorie packs might be convenient, and some of you might even be willing to pay more for the convenience and be ok with something that probably does not taste as good as the original - but there is something deeper than that. It is the fact that these are not nutritionally sensible as a snack because the calories they contain are "empty". People would be so much better off having something like a peanut butter sandwich or an apple because they have a much better "Calorific Payload". Instead of paying extra money for the new individual sized "100 calorie" bag snacks, what I do is buy a box of my favorite snack food.